So when the latest craze of Microblading Eyebrow Embroidery came about, it naturally got my attention. But with concerns that it would end up looking fake, tattoo-ed on, too dark, painful etc… I was still skeptical. 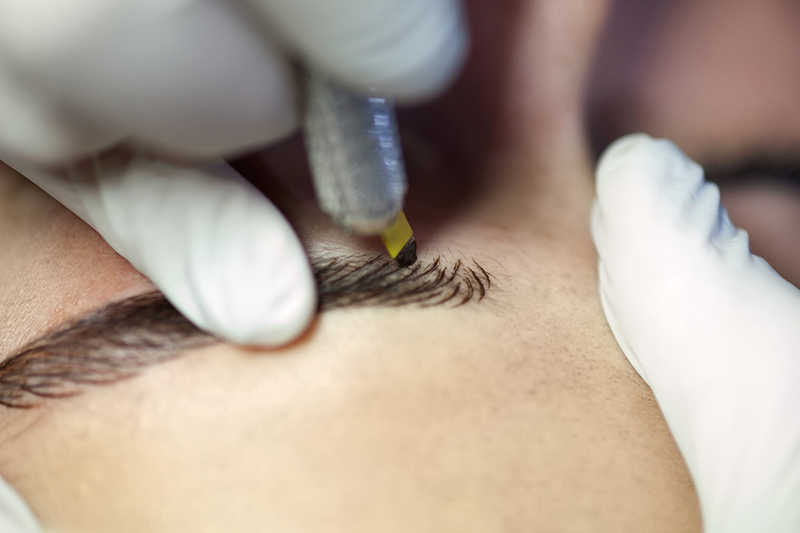 Many brow artists recommend keeping your eyebrows clean and moist for 3 weeks following your treatment. Aquaphor or petroleum jelly work well for this purpose. Don’t apply skincare products to the area. Use a clean pillowcase each night. You should be given written aftercare instructions to take home. Follow- up appointments are usually set up for 30 days after treatment. That’s when initial touch-ups are done. If desired, most artists will add a second shade at this appointment. You’ll need touch up appointments about every 6 months for 2 years. Remember though, these are just guidelines. Each brow artist will have their own aftercare protocol and schedule.